Everyone at the apartments in Denver knows about the Denver Art Museum, but when was the last time you made it over there to check out the exhibits? DAM is one of the largest art museums in the Western United States, and it always makes for a great day trip, even if you don’t consider yourself much of an art enthusiast. If you’re planning on taking a trip, though, you’ll need to know what you’re in for, so today, we’ll be filling you in on all the awesome exhibits that are currently on display at the Denver Art Museum. Let’s take a closer look at each so you know what you’re in for when you head down there. As you tour the exhibit, you’ll be given a chronological tour through the “pivotal themes” that have shaped Dior’s outlook from past to present, and you’ll even get a glimpse at how those who came after the legendary Christian Dior (well-known names like Yves Saint Laurent) ran with Dior’s concept while adding their own personal touches to the world of fashion. Head to level 4 of the Hamilton Building, and you’ll find Do snow monkeys remember snow mountains? a video by Japanese artist Shimbaku. This feature focuses on an interesting subject — a group of Japanese snow monkeys that have been living in a Texas desert sanctuary since 1972 — and poses the title question: do those snow monkeys still remember the snow mountains? Thinking about the exhibit, you may discover that it goes deeper than simply exploring how these snow monkeys have adapted to their new environment, as it also “symbolically explores human migration and reconnection with environment through genetic memory and ancestral history.” Check it out, and see what connections you might draw between the situation of the snow monkeys and that of humanity at large. Minnesota-based Julie Buffalohead is a member of the Ponca Tribe of Oklahoma, and her new work, featured on the 4th level of the Hamilton Building, weaves together metaphors, iconography, and storytelling narratives to illustrate the American Indian experience. That work, by the way, is a mixture of painting, printmaking, drawing, illustration, bookmaking, and sculpture, though, this particular exhibit will be showcasing Buffalohead’s skill on canvas and draw from many of her own personal life experiences. Like Shimbaku, Buffalohead uses animals to explore broader themes about humanity. Hidden within the simplistic nature of her strokes, you might find yourself learning greater truths about the human condition, and perhaps even yourself as an individual? As you tour the exhibit, keep in mind that the true value of art such as this goes much deeper than the paint on the canvas. This exhibit, on the second level of the Hamilton Building, features the work of Denver Local Nicole Anona Banowetz, and explores a massive “insect nursery” of her own design. These cocoon-like structures were sewn and inflated, and how you see them in their current form isn’t how the exhibit shall remain. Over the course of a year, the installation will slowly evolve, providing a slightly different experience upon subsequent visits. This one will be a ton of fun for you and the kids alike, should you choose to take them along. Can’t get enough of animals in art? Stampede, covering levels 3 and 4 of the Hamilton Building, is collecting “more than 300 objects from the Denver Art Museum’s collection to explore the presence of animals in art throughout centuries and across cultures.” This massive exhibit will give you a chance to explore multiple animal themes and how they reflect back on various aspects of humanity. There’s even an interactive space where you can learn about the creative process that went into designing the video game Never Alone. What’s Coming Up at the Denver Art Museum? So, as you can see, there will be plenty more reasons to come back to the museum to check out even more great art down the line. Don’t delay — plan a fun day trip today! Ever wonder why places like The Henry are looked upon as stellar communities to live in? Being located in one of Denver’s most [illustrious residential areas[(https://www.thehenrydenver.com/location) is a good start, and everything that comes with that really puts the icing on the cake. 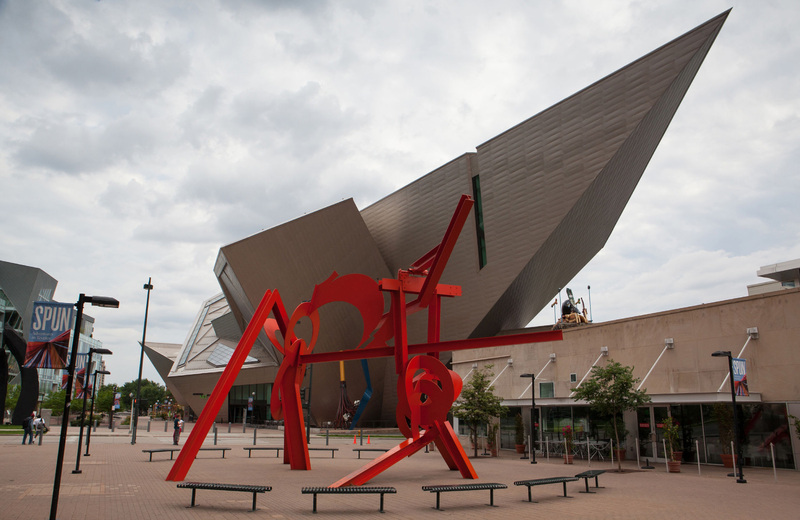 With easy access to the light rail, getting around to places like the Denver Art Museum is pure simplicity, and the wealth of things to do and see around Platt Park — from dining to shopping and beyond — makes staying in the neighborhood just as enjoyable. Make this your new Denver home; check our availability and reach out today to learn more.